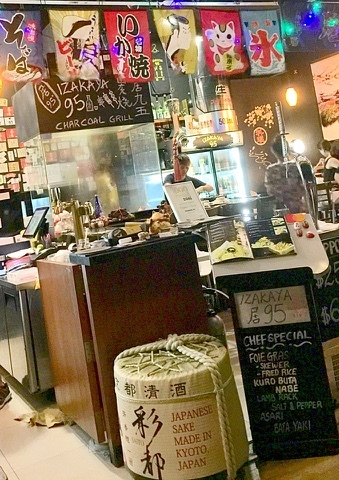 Izakaya 95 at Punggol Settlement - Best Charcoal BBQ Foie Gras I have ever eaten for only $10! 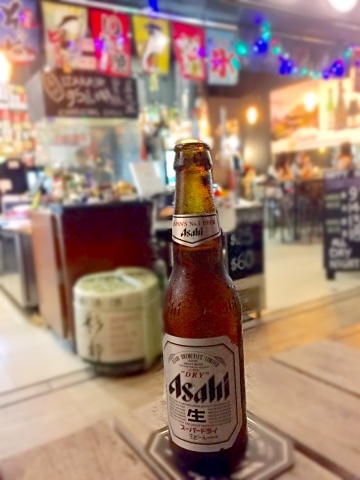 Izakaya means 居酒屋 - a Japanese pub serving alcoholic drinks and Japanese cuisine. 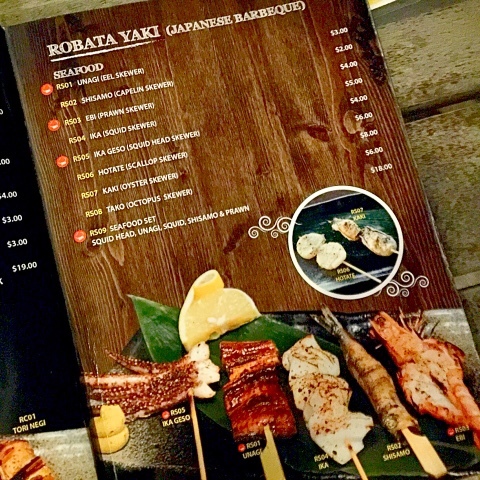 I love 居酒屋 when I was in Tokyo because that was the only type of restaurant that serves a variety of Japanese cuisine. 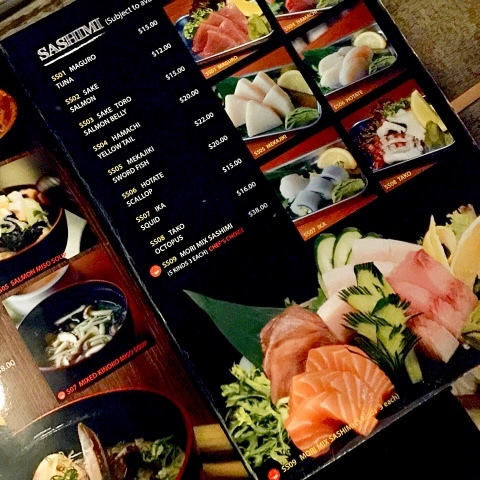 Most of the Japanese restaurants serve a specialised type of food such as Ramen shops, Sushi Bars etc. 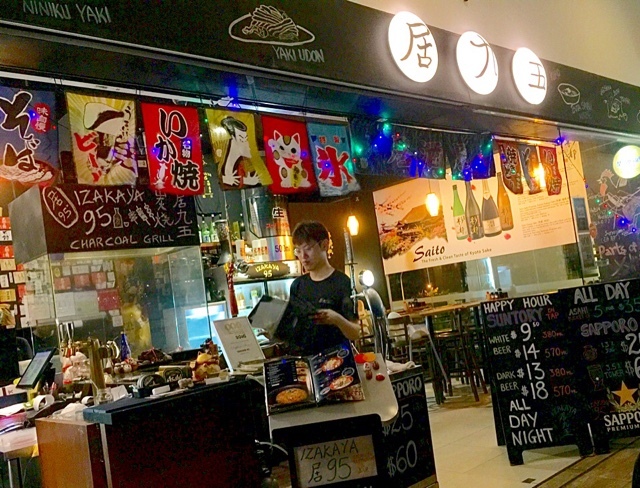 Izakayas are very crowded with Japanese relaxing with a drink and food after a day's work. 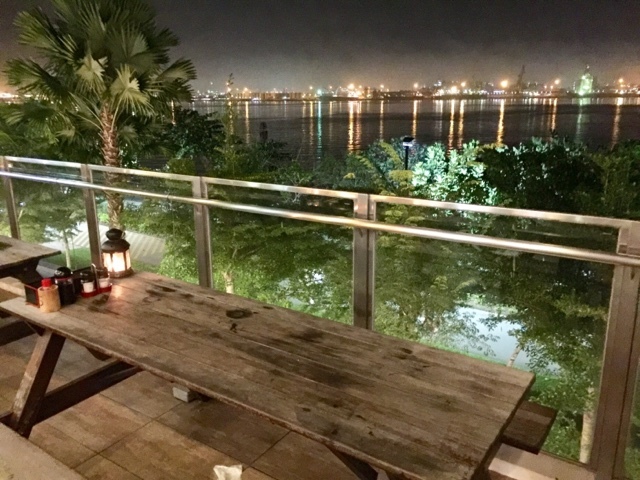 I was very excited to spot an Izakaya in PUNGGOL! 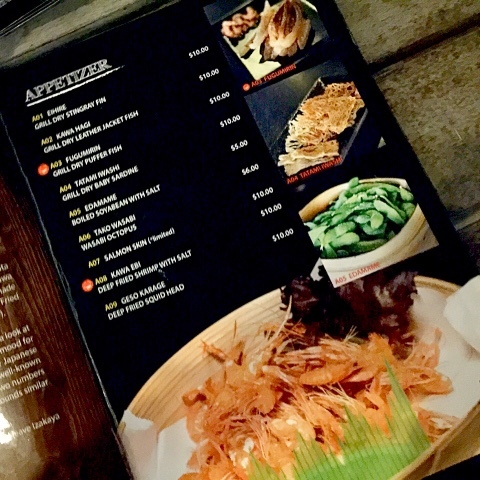 It looked very promising with its charcoal station and interesting menu. Let's check out what are the Must Tries and those you can skip! 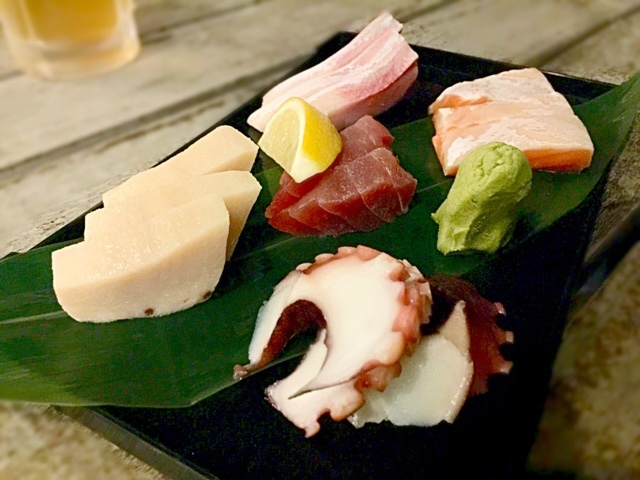 The crucial factor of sashimi is the freshness. This level is of very high quality as it can match those that I have eaten in Tokyo. The salmon was sooooooooooooooo melt in the mouth sweet with my wasabi soya sauce. The yellow tail was superb. Even the Tako was sweet. Usually, Tako is tasteless. As for the tuna, I continue to dislike it. 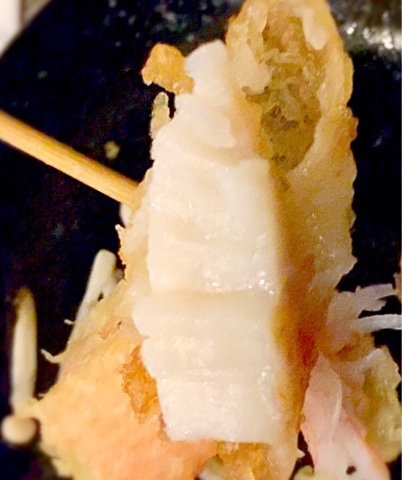 Though fresh, the Meikajiki could be sweeter or creamier. As the pieces were rather thick, I felt that $38 bucks for this plate was worth every penny. 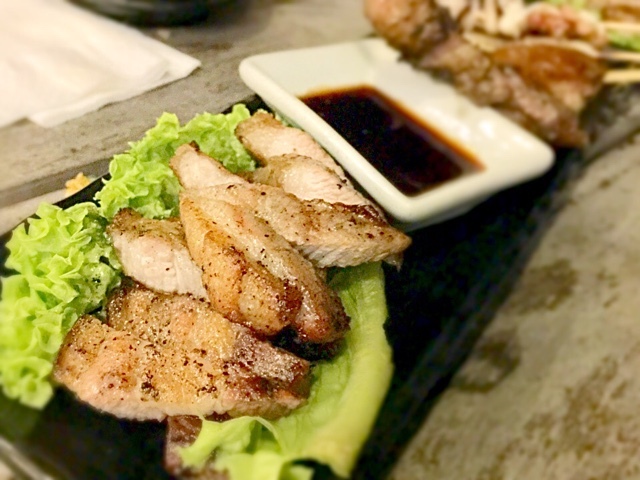 Izakaya 95 has a variety of interesting appetisers which is not commonly found in the mainstream Japanese restaurants in malls. Check them out by clicking here. I will not order this dish again because the shrimps were prickly and I was rather scared. My companions were not as timid as me and they kept chucking them into their mouths. Taste wise, I was expecting the shrimps to be more fragrant. 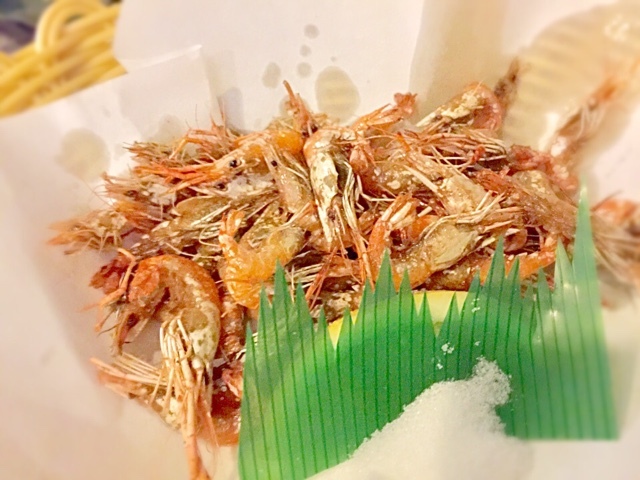 As the salt came in a heap, it was impossible to dip the shrimps in the salt without it becoming overly salty. Without the salt, it was too bland. The deep fried platter consisted of scallops even though it was not listed on the menu! What a pleasant surprise! All the deep fried items were well done. I would order it again for its taste. 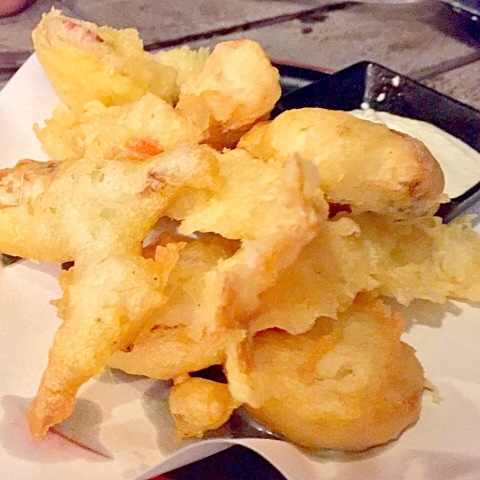 Perfect to do with deep fried items! 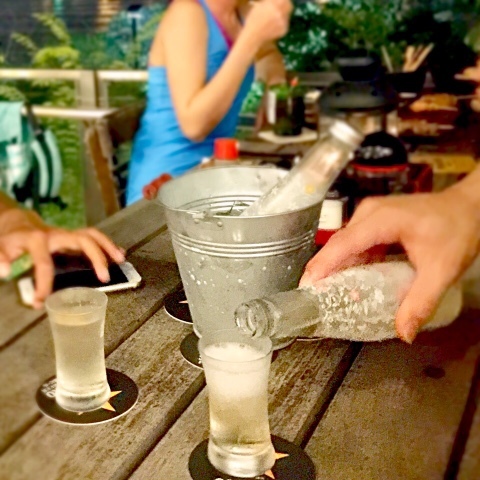 Click here for the alcoholic drinks menu. 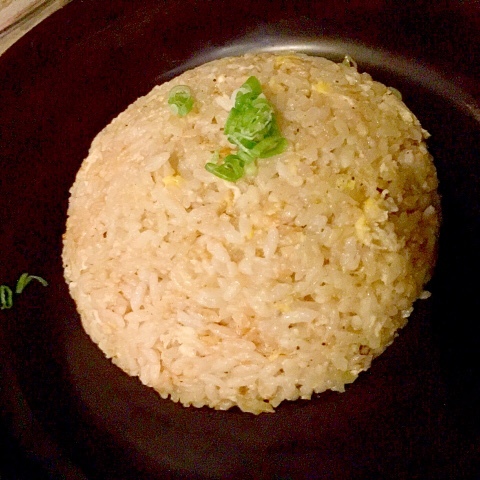 The garlic fried rice truly lived up to its name. It was very garlicky and I was undecided if I liked it or not since I am a garlic lover. 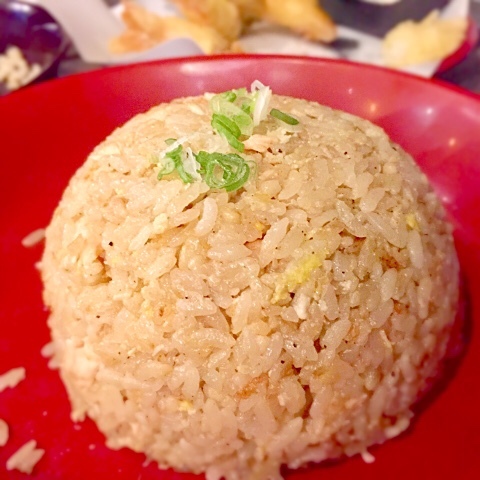 I have tasted more delicious garlic fried rice so I think you can give this a miss and check out their more exotic foie gras fried rice. If you are expecting salmon chunks, you will be disappointed. The fried rice was nice but it was not nice enough for me to keep ordering it every time I am here. I know it is very trendy to come up with signature dishes right from the start but it is also very dangerous. The moment you name your dish SIGNATURE, it has to be the BEST. If you are not sure if it is the best, don't be in a rush to have signature dishes. Give it more time. 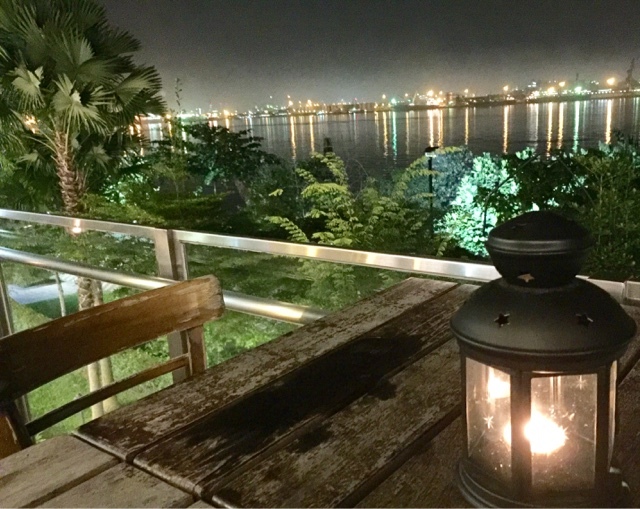 If the dish is very popular, it is not too late to crown it to be the signature dish of your restaurant. The star of this Dish was none other than the Foie Gras. The rest of the items paled in comparison. 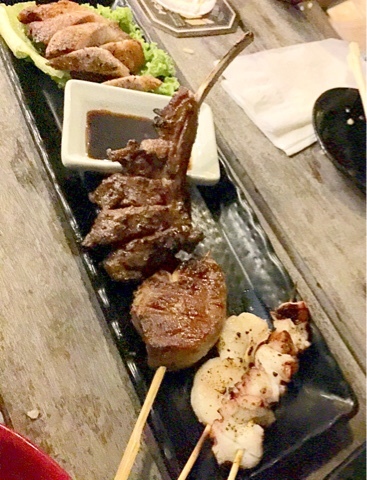 The pork belly, lamb rack and tako were too tough. I would definitely not order these items again. The Tako was the worst! It was extremely rubbery and tasteless. 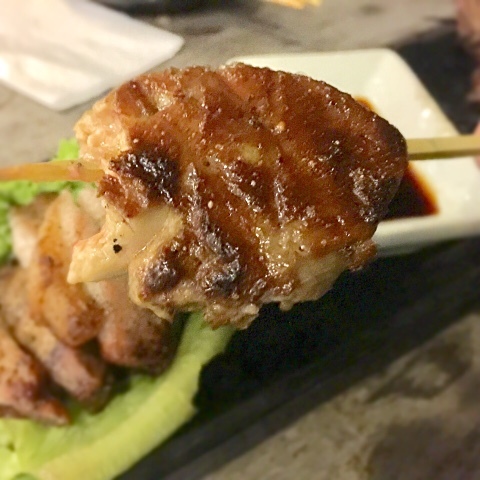 Charcoal BBQed Foie Gras S$10 - Must X3 Try! 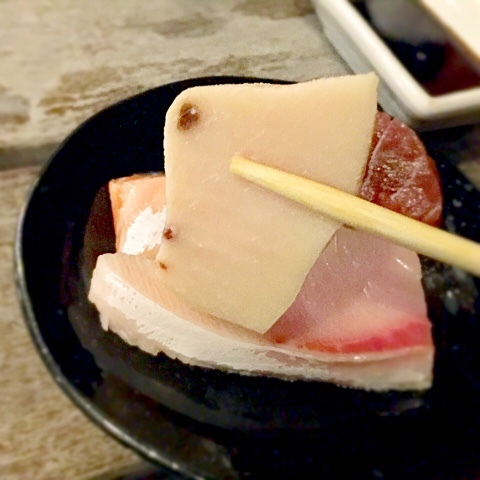 Despite the rest of the Yaki (means grill in Japanese) dishes being rather yucky, the foie gras alone saved the dish. It was so delicious that I am at a loss for words. It was so soft that it melted in my mouth. There was no gamey taste at all, just delicious liver. You can order it on its own for only S$10! 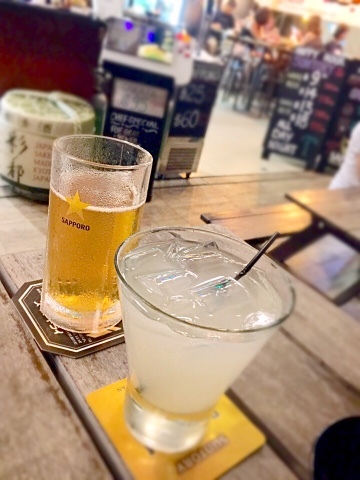 It is going to be something that I will order again and again. 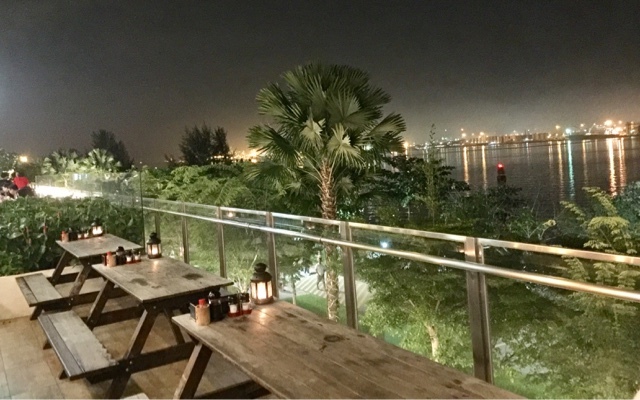 This is such a great place to chill with drinks and delicious food!